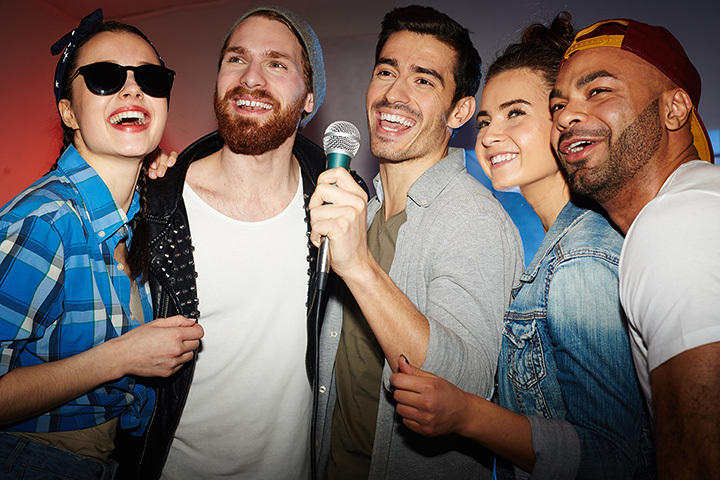 When you need to release your inner popstar, nothing will satisfy like a karaoke night with good friends. Paired with great drinks, karaoke bars are an excellent place to retreat for a fun evening out. Here are the 10 best karaoke bars in Indiana! The Monkey’s Tale is a hidden gem in Broad Ripple. A New Orleans-style music venue, with karaoke SEVEN NIGHTS A WEEK! All karaoke, all the time, as well as other live entertainment. They’ve been in business since 1986, and used to be one of Broad Ripple’s best kept secrets—until now. It’s where karaoke lovers come to gather in support of one another, whether you’re a professional or not. 🙈🎤🎉🍻❄️🍰💕😂 Birthday karaoke was so much friggin fun! Thank all of you SO much for those who came out! I love y'all super much! The Free Spirit has been in business for over 25 years, and it’s a place where patrons can come to eat, drink, dance, and be free. They have over 5,000 square-feet of space, a large patio dining area, a huge dance floor, and of course, a live DJ and karaoke! Come join them every Thursday and let your voice be heard as you sing the night away with P3 Productions! The Irish pub that’s become a local favorite, Shenanigans has great food, live music, high-end sports entertainment, and karaoke. It has that friendly, neighborhood vibe where everybody knows your name. It’s family friendly, and the best place in Portage for a great karaoke session. Maru Studio is a full-service karaoke bar in Indianapolis, and has been in business for over 15 years. They have an updated karaoke machine, and have a great selection of drinks, authentic Korean food, and songs from across the globe. It’s unique and eclectic, and one of the best karaoke bars in Indianapolis. Syd’s is the place to be in downtown Noblesville. Great food. Fun, family friendly atmosphere. Fantastic food and amazing drinks. And though Syd’s is known for their incredible selection of bar favorites, they’re also THE place for a great karaoke session when your inner diva or rock star needs to unleash. The Lakehouse Grill is everyone’s favorite place to meet. They have great food, amazing service, and a warm, inviting atmosphere. Every Friday night is Karaoke with DJ Tim, and there is always a huge crowd! An oasis for food, fun, friends and family! Join them on Wednesday nights for karaoke, and every other Friday for family karaoke! Make it a battle of the relatives to see who can drop a beat with the best of them, or unleash your inner Springsteen as you enjoy great music, a fun, family friendly atmosphere, and delicious bar food! The Root Cellar in southern Bloomington, Indiana, is considered Bloomington’s “subterranean watering hole.” It’s where good music, good food, and good friends collide in a speakeasy atmosphere. The Root Cellar Lounge is located on the lower level of FARMbloomington, which offers unique cocktails and delicious, homegrown food. Join them every Wednesday beginning at eight for karaoke night and amaze your friends and family with your musical talents! Wrigley Field Bar and Grill is the local neighborhood bar in Fort Wayne, offering something for everyone—including karaoke. In addition to being famous for their wings, Wrigley Field is also famous for their Karaoke nights, designed for the most professional to the most novice of performers. With over 15,000 songs to choose from, you can do a solo, a duet, or a trio! If you’re looking for something new and unusual, as well as highly entertaining, comes to Zonie’s Closet, one of Indy’s finest and most diverse bars, where everyone is welcome! On Thursdays and Sundays, it’s open stage night, where you can perform your heart out in any way you choose. And on Wednesday, Friday, and Saturday, come join some of the most gorgeous and finest in female illusion!